Many entrepreneurs make New Year’s resolutions, it’s important to make them related to both personal and business goals. Losing weight or setting aside more time for family is great, but you also need to establish resolutions related to the improved health and growth of your business. Just as there is room for improvement as an individual, there is the opportunity to improve your business as well. With the New Year approaching, it’s a great time to take a step back and evaluate your business — identifying your strengths and weaknesses — and making resolutions designed to improve your business, along with a plan to reach those goals and make them a reality. To help you spark some New Year’s resolution ideas, I recently polled a group of entrepreneurs and business owners, asking them what their main resolution was as we approach 2019. This is a long list with plenty of ideas, which should help you come up with a list of your own. 1. Find a test pilot for a new product. 2. Create systems and procedures for everything. “Currently, as a small business, we haven’t had to have systems or procedures in place to do things consistently. But going into 2019, having standard operating procedures (SOPs) for all of the important areas of our business is going to be important so we can grow, expand and hire with consistency. 3. Focus on my recruiting strategy. 4. Improve content creation to organically attract 1,000+ followers on Instagram and Facebook. “I started a community for women designed to build the knowledge, skills and confidence to make boating, snowmobiling and ATVing more enjoyable. As an online business, I’m publishing content via video, blog and soon podcasting. This requires a strong social media presence, starting with the most popular social platforms. Building the brand from scratch is not easy. 5. Focus on revenue producing activities. “As an entrepreneur my New Year’s resolution is to focus on more revenue producing activities. It is easy to get caught up in the day-to-day tasks and end up letting the day and the business run you rather than you running the business. As a company of creatives, it is easy for us to allocate more time to design and creation. In 2019 we will focus on sales and execution in order to create a solid, strong foundation. 6. A combination of goals. “My New Year’s resolution is a unique blend. I want to read 20 pages per day, every single day, write a personal journal for 15-minutes, every single day and run 1,000 miles in 2019. By reading 20 pages per day, I should be able to read about 30 books in 2019. Based on my reading list, I’ll learn a lot about entrepreneurship, sales, marketing, fundraising, self-improvement, nutrition, bio-hacking, life wisdom, relationships, meditation and empathy. By journaling for 15-minutes per day, I’ll be able to document my personal journey in 2019 — business, relationships and self-development. It will help me become more self-aware, be more grateful every day and have a more clear long-term vision for my business and life. To accomplish my goal of running 1,000 miles in a year, I will have to employ both strategy and determination. I’ve never been much of a runner, and I’m not in the best shape at the moment, so it won’t be easy. My plan is to start of by running 1 mile per day, then increase the daily distance that I run, every month. Aside from the clear physical benefits of running that much in a year, I believe the skills I will develop in regards to consistency and grit will pay off for years to come. “Each year I choose a word to symbolize my intentions for the coming year. For 2019, my word is ‘Authenticity.’ As a writer and coach, it’s important to me to walk-the-walk I am modeling in my writing and teaching. Authenticity was used by the philosopher Descartes who is famous for the cogito: I think; therefore, I am. Authenticity takes this deeper by separating our inner thought and moral authority from our historical circumstances. 8. Achieve more balance in our lives. 9. Develop and grow my leadership team. “I have become the bottleneck in my own publishing company, and my New Year’s resolution is to eliminate this bottleneck by outsourcing or hiring for two positions: an editor and a writer. To be honest, I no longer get the satisfaction I used to from my main day-to-day position: editing, writing sales copy, or crafting and designing beautiful comparison tables full of product information. Hiring will help me get rid of the tasks I no longer enjoy, and give me time and energy to work on the bigger picture. My aim for 2019 is to work more on the strategic parts of the business, especially growth of the traffic numbers as well as sales. This is the part of the business I have grown to enjoy much more during the last year and now I want to fully devote my time to it. I am also a mom to a 3-year-old son, so firing myself from the editor position will give me valuable time to raise my toddler into the same kind or better of an entrepreneurial badass that his mother is. 11. Help more consumers in my industry. “When I started my business, I wanted to help car owners find great tires for the best possible price. My goal was to create a company more purpose than just making money. Slowly but surely we’re getting there, but I think we have a long way to go. I hear on a daily basis how car owners think they might have been ripped off, and although many have not been ripped off, the industry still has a long way to go to improve itself. 12. Find a way to incorporate giving back into my business. “Throughout 2018 I’ve been volunteering at a local homeless shelter in my city once a week. It’s been an amazing experience to connect with people who are trying to improve their lives and it’s been a rewarding way to use my time. In 2019 I’d like to find a way to incorporate giving through my personal finance blog. I hope to write about topics related to giving both time and money to charities and community organizations. I also hope to decide on a cause that I can support financially. My wife and I donate to causes that are important to us, but I’d like to find a way to tie the concept into my business and my blog. Aside from just writing about it, I’d like to support some causes directly through my business. Since I write about financial topics I think it could be a good fit and a worthwhile project to tackle on the blog. There isn’t a whole lot written on finance blogs about the importance of giving, but it’s a topic that impacts all of us in some way. I think some additional exposure for the topic of giving would be a good thing. It could challenge me to give more myself, and hopefully will also encourage readers to find a cause worth supporting. Just from private conversations I’ve had with readers, other finance bloggers and finance podcasters, I think this is a topic that people really care about.” — Marc Andre of VitalDollar.com. 13. A complete website overhaul. “As a comparison shopping website, our entire business model is wrapped up in our UX (user-experience). That means a website overhaul is pretty much upending our entire business. 14. Focus on my mental health. “My number one goal for 2019 is to focus on my mental health. Most entrepreneurs fail to do so and in turn, fail spectacularly in their work. I had many life changing moments in 2018 like graduating from University, starting my business and publishing my book. While those were all great achievements, I have never felt this anxious before. As the year is coming to an end, I have introspected and reflected on my personal health and wellbeing and identified my mental health to have received very little attention. 15. Devote more of my time to product innovation. “We are looking to continue to refine some of the systems we have built to take me out of the day-to-day running of the business so I can spend more time in 2019 on product innovation. Myself and my partner own and operate a content marketing agency that is fueled exclusively by podcasting — our clients drop a couple hours of audio into google drive and their entire marketing efforts are taken care of. 16. Be more focused and think more clearly. 17. Make a positive impact in our community. 18. Find new creative ways to multitask that incorporates work and exercise. 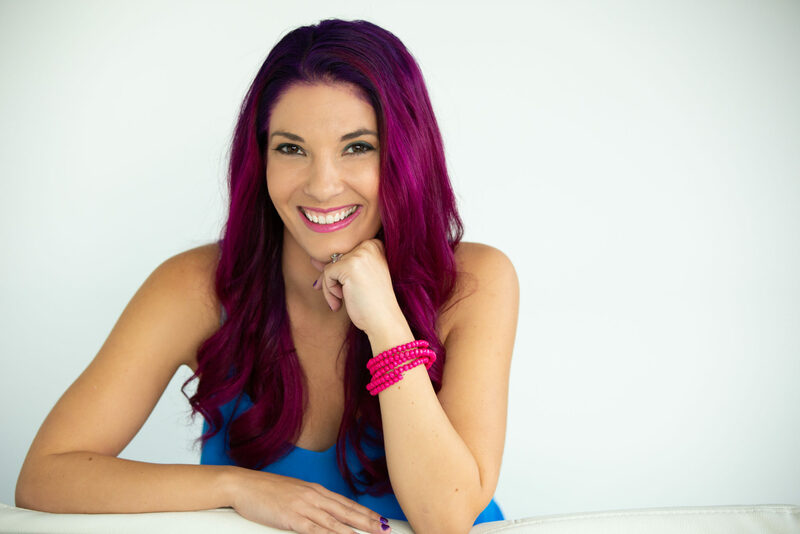 “I started a global branding and marketing firm 17 year ago so if I do not feel good I am not going to be at my peak performance level for my team or my clients. These days, with technology and social media we are always on 24/7. All work and no play is just not a sustainable option. To be more productive this coming year I will try to find new creative ways to multitask that incorporates work and exercise. When I worked at large companies they had gyms at the office or groups who walked at lunch but when you are an entrepreneur you have to get creative to find balance. I will begin taking myself as seriously as I take my most important clients, because if I am not at my peak performance I am not going to be useful to anyone else either. 19. Build a community around my brand. “My number one New Year’s resolution is accountability. I own a multi-million-dollar company, yet I am often late to company meetings, etc., and I tend to put things on my many, many lists, and save them for later, rather than starting them right away. A lot of the items are quick items that are faster to do right away instead of putting them on a list and carrying them forward onto other lists — and even more lists. 21. Build a cohesive leadership team. 22. Invest in more talent. “It’s great having a small, close-knit, hard-working team to work with. With small teams, there is more pressure on individuals to deliver results, so you can be sure that everyone is pulling their weight. In the long run, however, if you want your business to grow extensively, you need to invest in greater manpower. My New Year’s resolution is to hunt high and low, near and far, for outstanding additions to my team. Our team has enjoyed great success so far and everyone gels together really well, so it’s important that any new recruits fit seamlessly into the family. Our business is constantly growing, so recruitment is soon in the cards. New hires need to have the right set of technical and social skills to make their mark here, so I am vowing to settle on the right candidate only after I am 100 percent convinced they are right for the role. No matter how much we need a recruit, I care too much about producing great work and making sure my current staff is satisfied to bring just anyone on board. 23. Take more time each day to meet and connect with our members. 24. Become the best leader I can be. 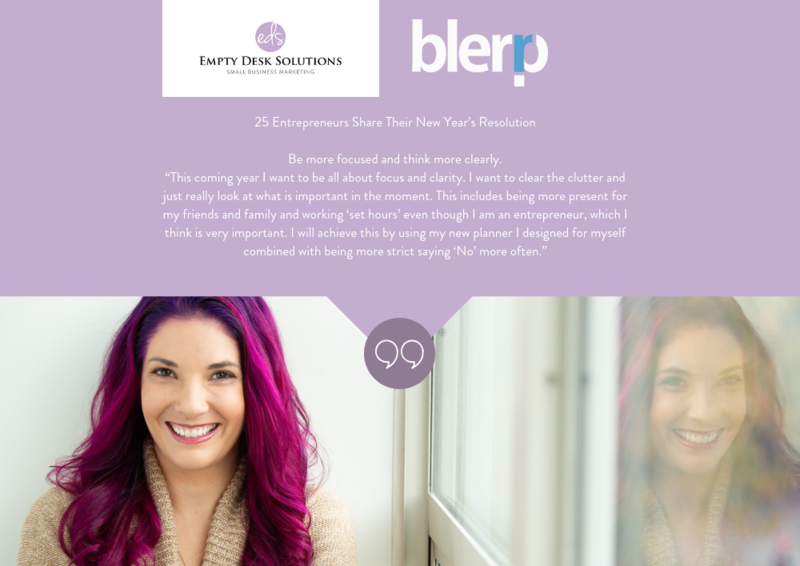 “My number one resolution this year is to become the best business leader I can be. And to do that, I have to become better at balancing my mental, physical and spiritual health along with my professional life. I need to generate as much positive energy as possible and then take it to work to really be on my A game.” — Amy Osmond Cook, VP of Marketing at Simplus. 25. Bring in more clients.